Fitness trackers aren’t just limited to a gym setting. Hiking and nature walks can be an excellent workout and even if you don’t partake in the activity just for exercise, being able to see how your body is working is beneficial. Not to mention that many fitness wearables are quite versatile, helping to improve your overall health and daily life. 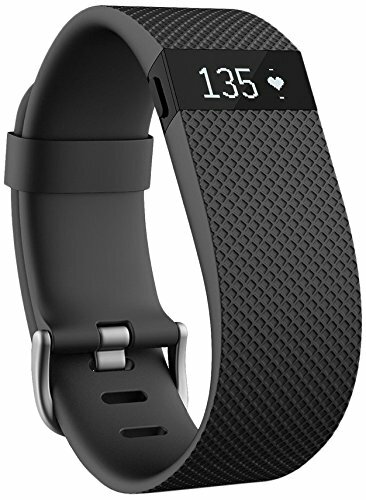 First up is the FitBit Charge HR, a popular device that is ideal for hikers. Its sleek design is attractive yet durable, and it is designed to be worn all day. The Charge HR has heart rate monitor built into the watchband. This eliminates the need for those uncomfortable chest monitors. Most people wouldn’t go out of their way to wear a chest band while hiking anyways. Since this watch is already on the wrist, it offers some insight into how hard your body is working while hiking without having to do anything extra. The heart rate monitoring technology used in this device is the PurePulse monitor. It will accurately determine how many calories you’ve burned and what intensity your heart rate was at during your hike. The Charge HR was originally designed for workouts so when you’re at the gym, you’ll get tracking for everything you could want – steps taken, total distance covered in the day, how much time spent in an active heart rate zone vs rest, and more. The watch has a 5 day battery life with full use, which is plenty of time for extended hiking trips. The Charge HR is meant to be worn all day, even while sleeping. This watch will track your sleep in terms of hours spent asleep and how restful your sleep was. You can also set a silent alarm which vibrates the watch to wake you up. If you’re sharing a tent with friends and don’t want to wake them up, you’ll find this feature very useful. Another handy feature for hikers is the ability to see notifications on your smartphone right on your watch. When someone calls you’ll be able to see the caller ID. Your phone can be safely in your backpack without fear of missing an important call. Finally, all of your data can be found on the FitBit app dashboard. 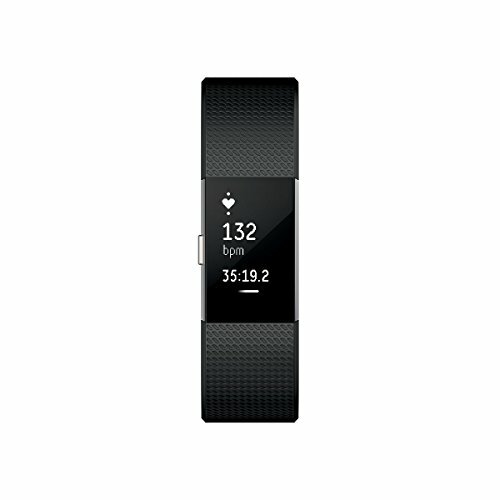 The FitBit app has one of the best designs and features compared to other fitness watch dashboards. You will be able to see your progress in easy to read charts and graphs or click pack workouts to see a complete analysis. A food diary makes tracking meals easy for those who like to keep a log. The FitBit dashboard also allows you to share information with friends, create goals and earn online badges for your progress. Garmin is currently one of the best fitness tracker manufacturers. While they have some very high-tech, GPS enabled watches that would be ideal for serious backcountry hikers or mountaineering, the Vivosmart is a great all around model. It has more than enough features to keep you happy and in tune with your body while hiking. 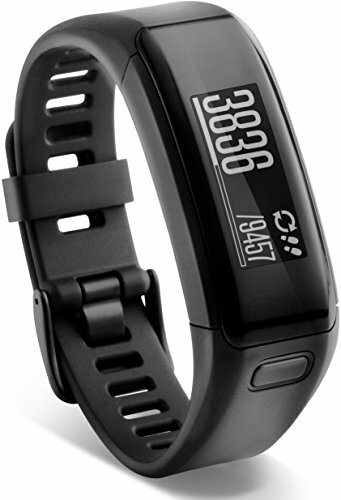 Compared to other fitness trackers, the Vivosmart looks more like a durable bracelet than a gadget. The OLED display is invisible when it’s off, only turning on when you receive a notification alert or you tap the screen. To view data you simply swipe through the display. The Smart Notifications technology means you will get an alert in the form of a vibration for calls, texts and emails. When alerted it will show the type of notification and you simply swipe the screen to see more. There is also a built-in alert which will vibrate, reminding you that you’ve been inactive for too long and need to get moving. This happens once an hour for every hour you are inactive. Walking or otherwise being active for just a few minutes will reset the one hour timer. This feature could be useful on hikes but is also great for days around the house or office when time easily gets away from you. The Vivosmart is waterproof to 50 meters so if you find yourself caught in rain on the trail or decide to take a dip in the lake or river, you won’t need to worry. If it also sweat-resistant. Garmin has their own community and dashboard called Garmin Connect. Garmin Connect can be accessed on the app on your phone or on the computer. This community also allows you to keep track of your diet, share your progress, view history of past hikes, and earn badges when you meet your own goals. If you primarily hike for exercise the Personalized Daily Goals ability will come in handy. 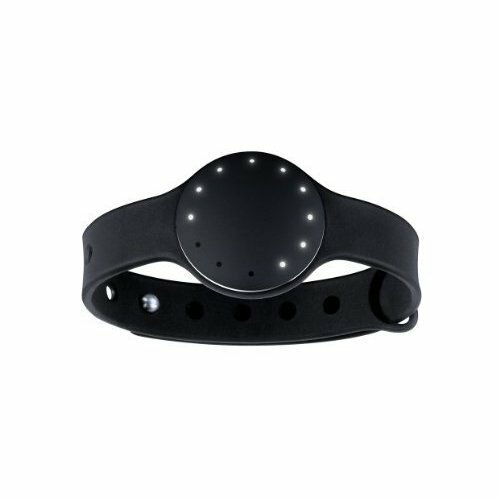 If all you want is the bare bones basics of fitness tracking and have a limited budget, the Misfit Shine is an excellent choice. While most fitness tracker brands are improving their designs by adding large touchscreens, built in heart rate monitoring technology and more, Misfit instead focuses on making their simple tracker the best it can be. 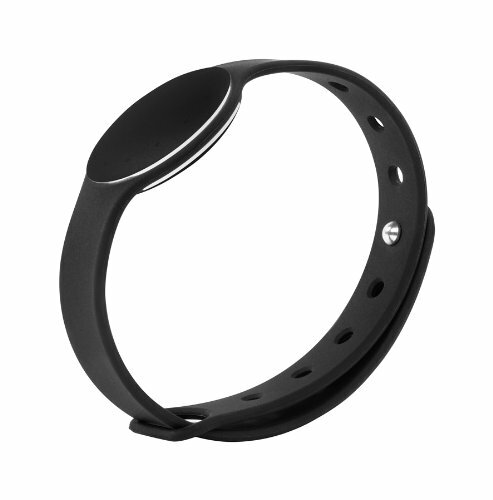 The very first thing people notice about the Misfit Shine is how unusual it looks compared to so many other trackers. The tracker itself is a round aluminum device that comes in a variety of colors. It can be worn almost anywhere on the body since the disc has a clasp. You can clip it to your shirt, on your sock or wear it more traditionally on one of Misfit’s bands. Misfit also has their own socks, shirts, necklaces and more so you can slip your disc right into one of the pocket on the clothing. If you do prefer wearing your tracker like a watch you’ll appreciate the selection of different bands, from synthetics to leather. Many people find the versatility in wear to be one of the biggest selling points of the Shine. After all, sometimes you just don’t want to wear a tracker on your wrist but instead slip something the size of a quarter into your pocket. The Shine covers all of the most important bases that a good tracker should have. It counts steps, tallies up total distance you’ve traveled and keep tabs on how many calories you’ve burned while doing so. On the app you can also access a food journal which you upload photos of your meals to. Aside from exercise and diet, the Shine will also track your sleeping patterns and quality of sleep. There are a huge array of different fitness trackers on the market that can really change up your hiking experience. If you’ve ever wondered just how much exercise you’re getting from your outdoor adventures, any one of these 3 gadgets will make you happy.